Courtesy of Julie Siddons, Realtors, Jamie Siddons. COMING SOON…YOU READY FOR A NEW HOME?? Come check out this 3 bedrooms, 2 full baths and 2 car garage. The home offers energy efficient features like superior fiberglass insulation, 50 gallon water heater, double pane vinyl windows, Armstrong Air by Lennox 15 SEER Heat pump with 10 yr. parts and labor warranty. Ceramic tile in all baths and kitchen. Carpet in all other rooms. Kitchen has granite counter tops plus built-in microwave, drop-in stove-oven, and dishwasher. Full perimeter security system. Covered patio in back. Front and side yard will be covered with sod. Great location…close to the Hillsboro Intermediate School. Come early and you can pick your colors!! Please, send me more information on this property: MLS# 14005256 – $175,168 – 411 Stoneridge Drive, Hillsboro, TX 76645. 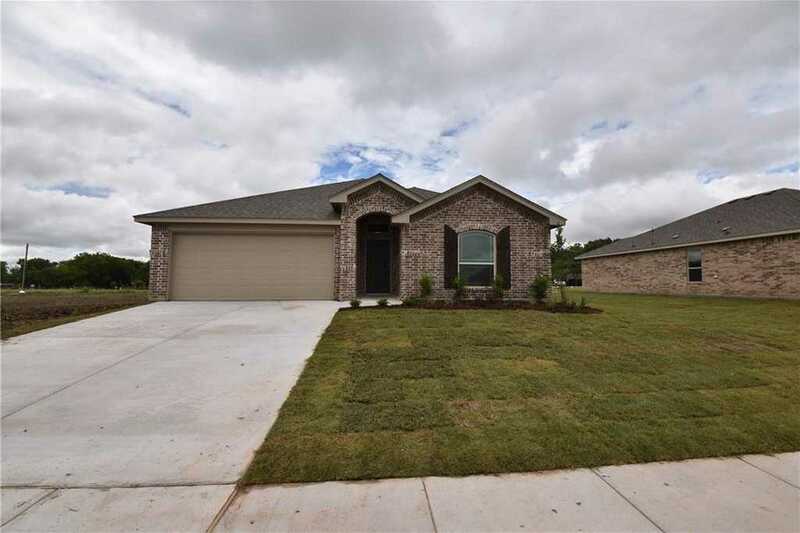 I would like to schedule a private showing for this property: MLS# 14005256 – $175,168 – 411 Stoneridge Drive, Hillsboro, TX 76645.